Foxpass saves your business both time and money. 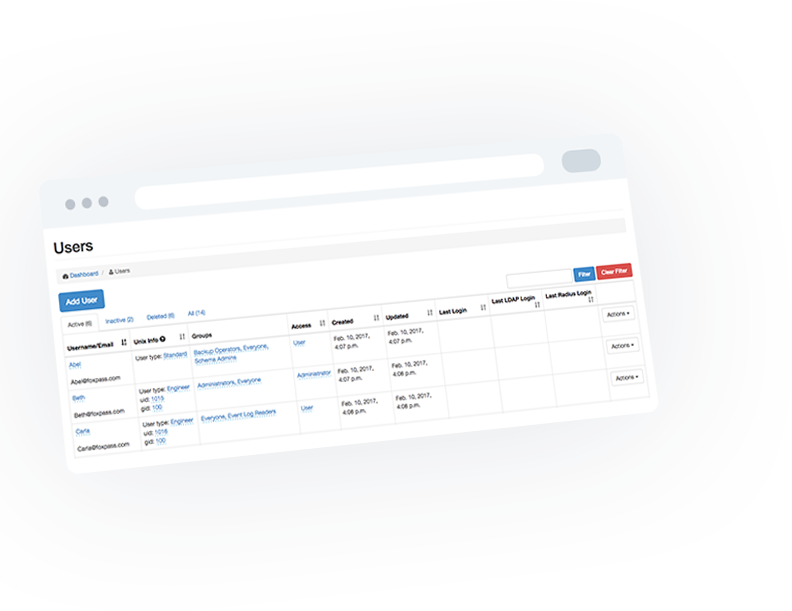 We provide tools that prevent costly internal mistakes so employees have access only to what they need, when they need it. 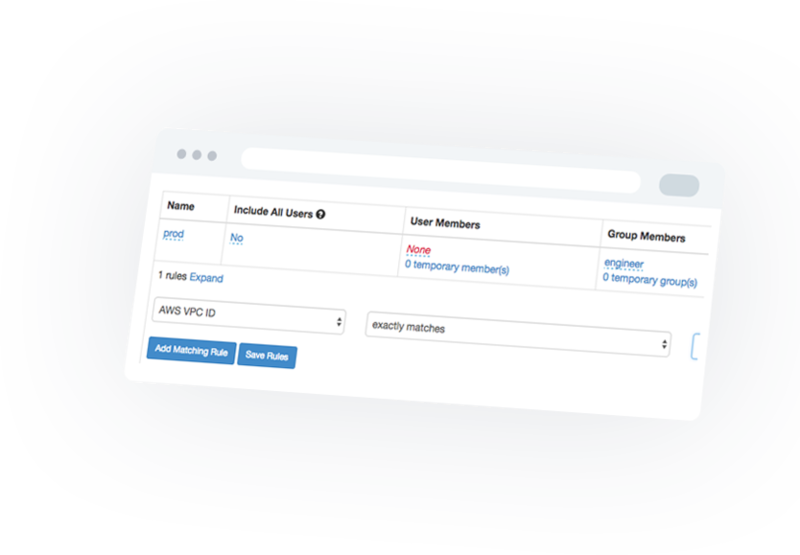 Control server access automatically with our API. Tie your on-call schedule to permissions to ramp up your security. 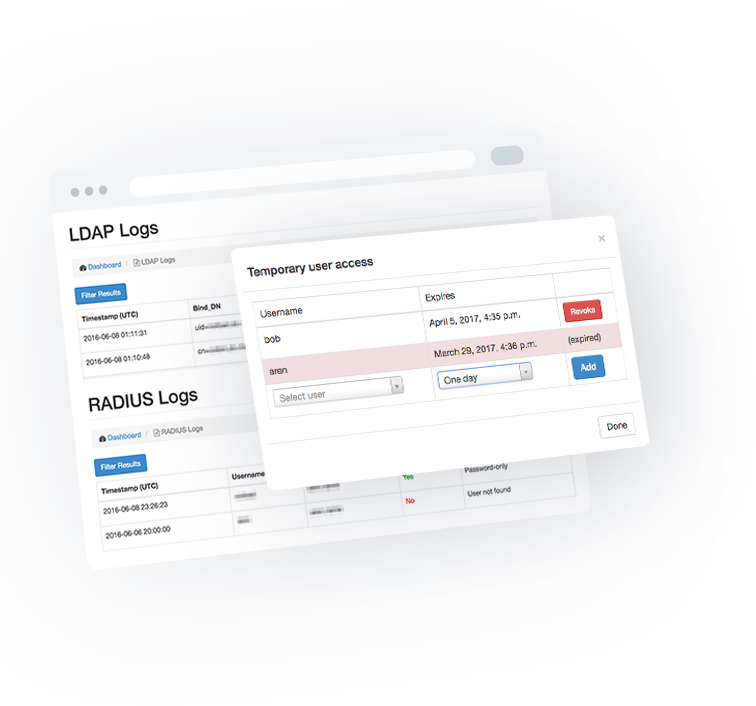 Cloud-hosted LDAP and RADIUS that syncs with Google, Office365, & more for full SSO on your VPN, Wi-Fi, and machines. 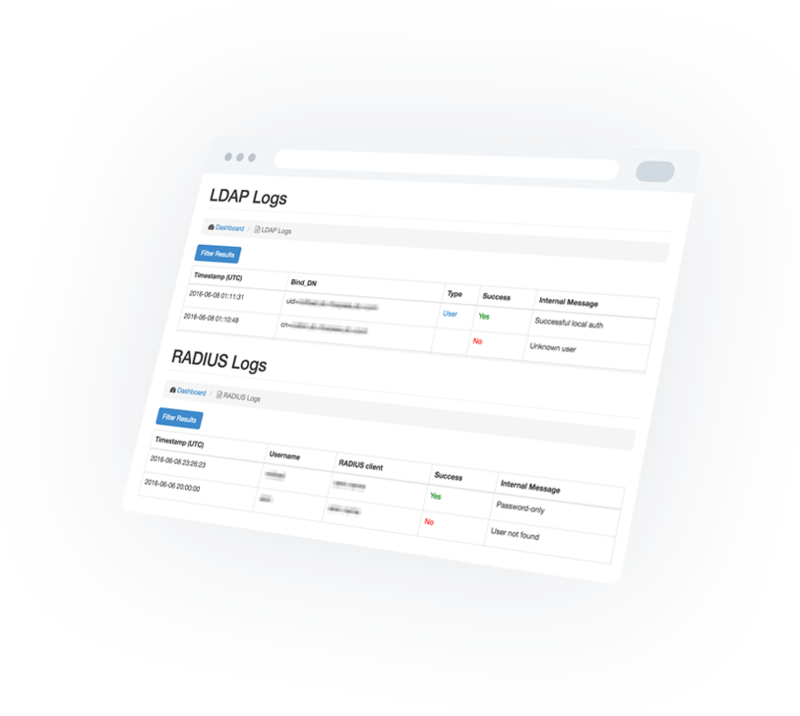 Log LDAP and RADIUS requests for greater security and visibility for the most sensitive areas of your infrastructure. 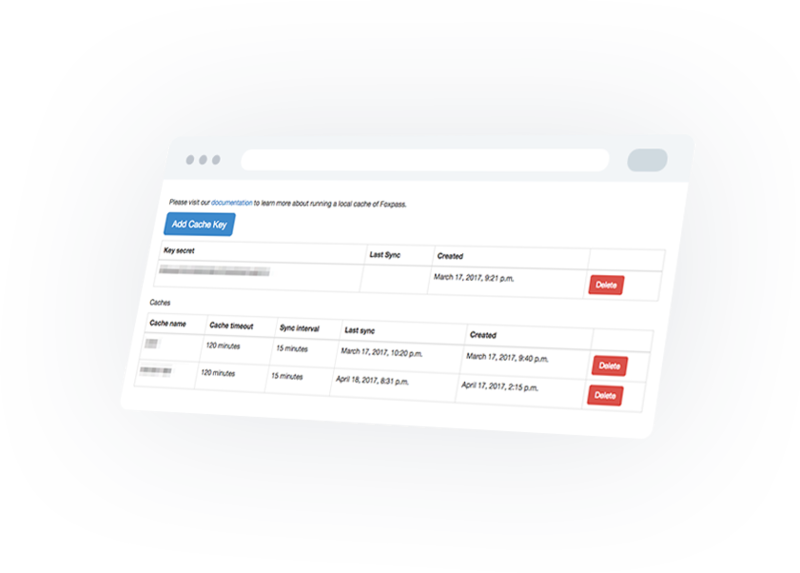 Self-service SSH keys and password management for your servers, Wi-Fi, VPN, and machines. Run a local cache of Foxpass that will keep your systems running during any downtime or connectivity issues.